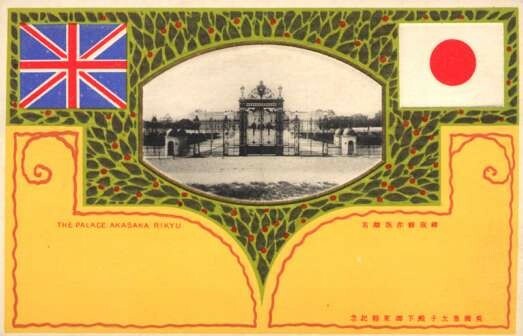 Japan Palace Akasaka Rikyu Flags | VintagePostcards.com: vintage, old, antique postcards for collectors. "The Palace Akasaka Rikyu." Embossed. "The Palace Akasaka Rikyu." Embossed. Japanese.